Atlee, the captain of the ship of Mersal, is a very capable and talented director, who gets the best out of his technicians and actors. 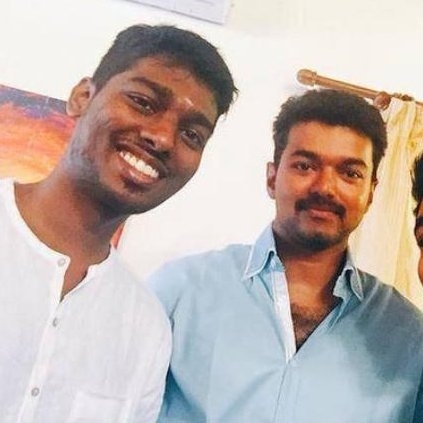 Talking about the film at the audio launch, director Atlee said, "Mersal happened only because of one single man - ungal Vijay. I am thankful to him for that. This film demanded more efforts than my previous films. If Theri had 5 action blocks, Mersal has 15 action blocks. Vijay anna's hard work can't be matched by anyone else. I don't think I would find another producer like Ramaswamy sir, who has been so supportive. For any director, it is a dream to work with A.R.Rahman sir, and I've achieved my dream now. I wouldn't say if Vijay is playing three different roles in Mersal, but there are three different heroines. Vadivelu sir's role would be emotionally driven, apart from comedy. You will see an Amaidhi Padai type Sathyaraj in Mersal, with his own style of quirkiness and nakkal. Raja Rani talked about life after love failure, and Theri was about how parents are responsible in the bringing up of their children. Likewise, Mersal would speak about reinventing our traditional old culture and the living style. The teaser of Mersal would release in two weeks." Bold: Varalaxmi blasted her driver. Know why? Budget Of Vijay's Mersal Audio Launch Is Reportedly Close To 4 Crores.